Meet Sarah Jane, a woman with a reputation for culinary catastrophe, who tries to keep her family fed in challenging circumstances in rural France. Frugal living was not part of the plan when they arrived from Australia to undertake the renovation of a quaint cottage in the Charente. However, when life threw them a curveball, the challenge was set: How to survive in France with very little money and two Australian cattle dogs. The answer came in the form of five chickens, four ducks and a vegetable garden! The frugal plan was to save money by any means possible - to enable any money they could earn to be invested into continuing the renovation of the cottage. In true "good life" style, Sarah Jane attacks this challenge head on by keeping some small livestock and converting a garden that resembled a meadow into a French "potager," or kitchen garden. The French tradition of using produce from their "potagers" is renowned for enabling families to create meals that are healthy, cost effective, and simple. 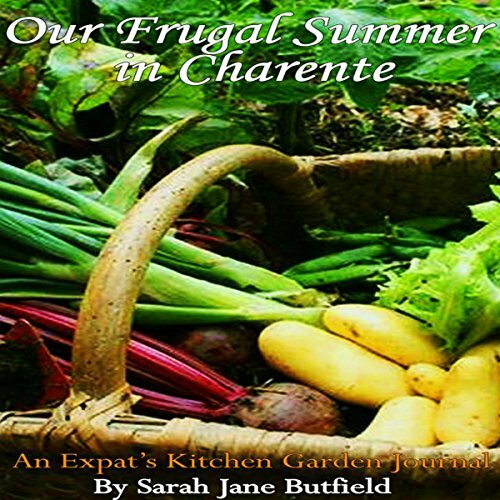 There are 31 recipes for a variety of food and drinks included in a month-by month-account of how they transformed a neglected garden into a frugal yet productive expat kitchen garden.